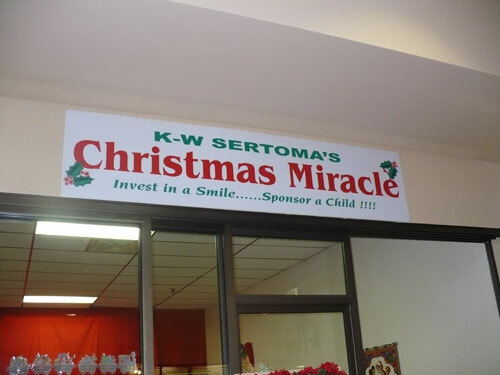 Once again, the Christmas season is fast approaching and the KW Sertoma Club will be holding its Christmas Miracle Campaign for underprivileged children in our community. For over 47 years, the KW Sertoma Club has been running this program ensuring less fortunate children in the KW area will wake up to something they wished for on Christmas morning. Without the support of donors like you, these children would most likely receive nothing for Christmas. Last year, we were successful in making Christmas wishes come true for many children. This year, we are increasing our number of children. As we know only too well, when children return to school after Christmas, inevitably, the first question is “What did you get for Christmas?” The KW Sertoma Club receives a list of less fortunate children from the Christmas Bureau then we call the parents and ask what their children are wishing for. 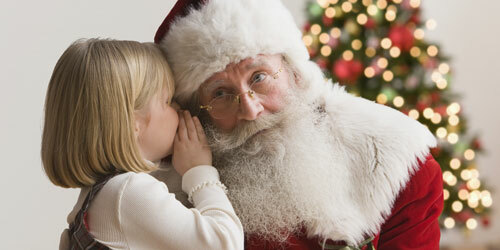 Once we have the children’s wish list, you can choose a name and age with minimum $100.00 per child . The Christmas Miracle is supported throughout the Kitchener Waterloo area and we would be unable to continue without Your Much Needed Support. Please contact us to sponsor a child or family. You can also come directly to the Christmas Miracle store in the Frederick Mall. 385 Frederick St. Kitchener. The KW Sertoma Club is a non-profit charitable organization and we do provide income tax receipts upon request. We would like to Thank You in advance for your time and generous support of our community endeavor and we look forward to hearing from you!